The Samsung Focus has only been out for a few weeks, so there aren’t as many choices when it comes to cases. Case selection at AT&T also seems to vary, but at most you’ll find three cases. 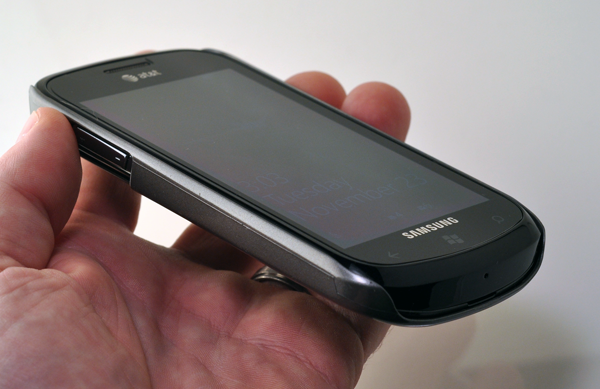 One of which is the Incipio Feather case for the Samsung Focus. 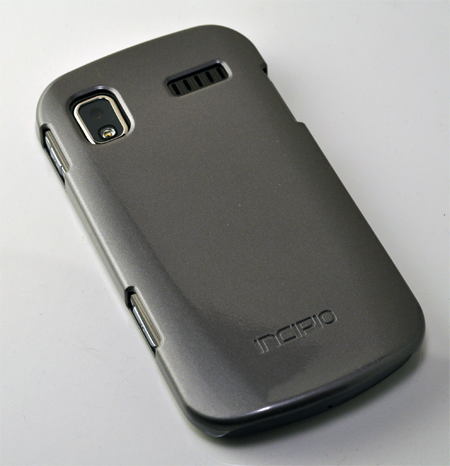 The Incipio Feather case for the Samsung Focus comes in metallic grey and black. The case has got a bit of a shine to it, not unlike the backplate of the Focus. Constructed of plastic, the Feather is extremely light and doesn’t add much weight to the already light Focus. The inside of the case is not lined with anything, but I don’t see it’s polymer construction scratching your phone. Installing the case was a breeze. Slide in the Focus where there are cutouts for the volume controls and snap-in the rest of the case. While the case snaps on easily and fits well, some cases fit so well that they become part of the phone. I also happen to own an Incipio Feather for the Zune HD. Same company and case model, but it feels completely different. The Feather for Zune HD feels more solid. Once on, it almost felt as if it were part of the Zune HD. It’s not to say that Feather doesn’t fit right. On the contrary, once it snaps in, I felt confident that my phone was secure. If it dropped 5-6 feet, then I’m not so sure it wouldn’t pop off. 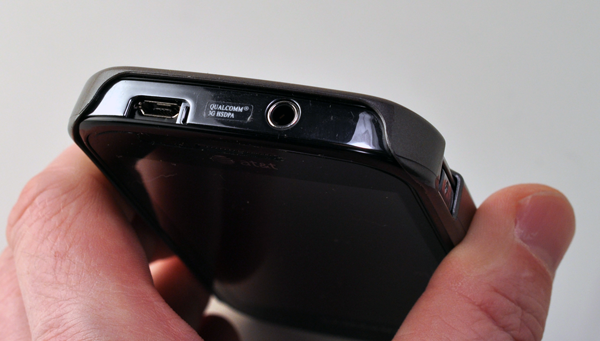 All access ports are readily available with the case on. 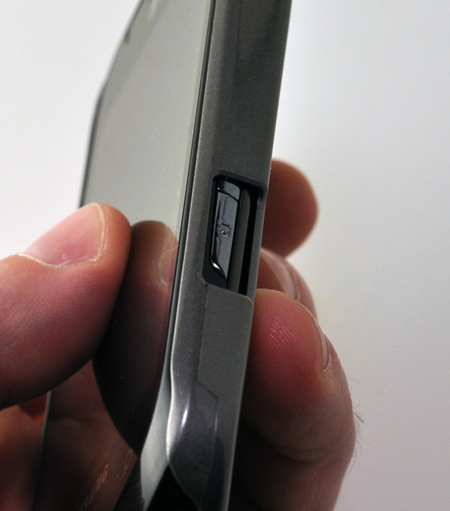 One member reviewed the Incipio Feather case in our forums and felt the camera button wasn’t as easy to access. The case sits above the button, but I didn’t see this as a major issue. I found that you can still press the camera button with ease, but you might want to utilize your thumbnail. From a protection standpoint, the Incipio Feather offers very minimal protection. The bottom and top of the Focus are not protected at all. If you drop your phone on a hard surface, it could mean very bad things for your phone. This case is simply meant to protect the sides and back from scratches. The case does not add bulk and keeps the form factor in tact. I was not thrilled with the look of the case on the phone. 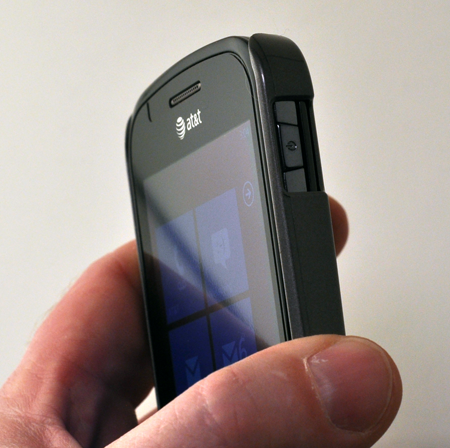 I cannot put my finger on why, but in some ways I felt it cheapened the phone. Perhaps my expectations were that the case would give the phone a more solid feel to it. 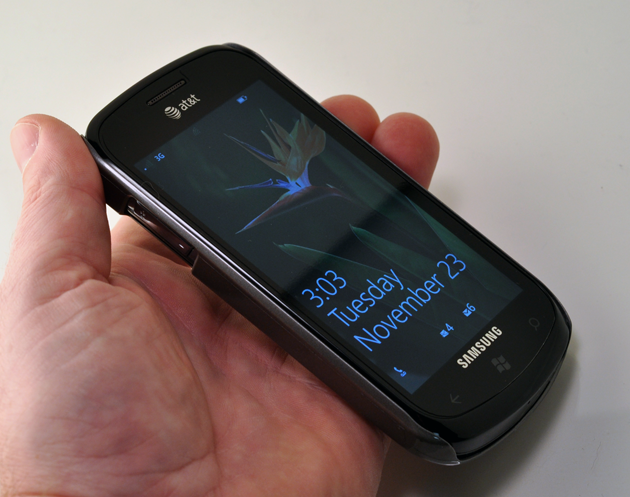 Overall, the Incipio Feather case for the Samsung Focus is an average case. It’s not for someone looking for ultimate protection, but will prevent the device from scratches. If you aren’t comfortable with protection offered by the Focus’ gorilla glass, I’d recommend a screen protector if you plan on picking up this case. No one would confuse this for a cheap case, but it’s not as solid as Incipio’s other Feather cases. Priced at $29.99, I was expecting more and so should you.